Family and friends of Dzhokhar Tsarnaev testified Monday on the fourth day of defense testimony in the penalty phase of his trial. Tsarnaev, the 21-year-old former University of Massachusetts Dartmouth student who admittedly placed bombs at the finish line of the 2013 Boston Marathon that killed three and injured more than 200, faces the death penalty on 17 of his 30 charges. Witnesses, among whom were cousins and aunts of Tsarnaev, spoke about their experiences with Tsarnaev and members of his immediate family. The defense first called Raisat Suleimanova, a cousin of Tsarnaev, to the stand. She answered questions with the help of a Russian translator. Raisat said that she has never traveled outside of Russia, and that it was important for her to be in court. On one occasion, Raisat said, while spending time with his grandmother, Tsarnaev watched the movie “The Lion King” and cried when the character Mufasa died. “She would say, ‘I don’t understand how such a small child … could sympathize so much, could understand tragedy,’” Raisat said. During cross-examination, the prosecution began to ask how Tsarnaev could have sympathy for a “cartoon character” and be “indifferent to real pain and suffering of innocent people.” The defense objected to the question, though, and U.S. District Court Judge George O’Toole didn’t allow Raisat to answer. The defense also showed Raisat photographs that showed Tsarnaev’s mother, Zubeidat Tsarnaeva. In several of the photographs, Zubeidat wore clothing different from the hijab and black garments she currently wears. The defense next called Naida Suleimanova, Raisat’s sister and another cousin of Tsarnaev. Teary-eyed, Naida said that seeing her cousin was an emotional experience. “I am seeing my brother for the first same in so many years and it’s not easy,” she said. Naida was shown a photograph of Tamerlan Tsarnaev, Dzhokhar’s deceased brother, carrying him on his shoulder when they were children. She spoke about the brothers’ close relationship. The defense played for her a tape of Tamerlan speaking Russian. A transcript and English translations were shown on a screen. When asked if the religious ideas expressed in the recording were consistent with the Islamic traditions in her family, Naida denied it. Patimat Suleimanova, one of Tsarnaev’s aunts, took the stand after Naida. She began to cry and answered only a few questions before O’Toole suggested giving her time to compose herself. As she left, Tsarnaev began to wipe tears from his own eyes. The defense then called Shakhruzat Suleimanova, another aunt and the mother of Naida and Raisat, who talked about raising her younger sister, Zubeidat. Following the death of her mother, Shakhruzat said her sister went to live with several of their uncles until she went to university. Shakhruzat said her family, which is ethnically Avar from Dagestan, did not approve of Zubeidat’s ethnically Chechen husband, Anzor. “At first everybody wants their own people, because we don’t allow our daughters to marry a person from different ethnicities, and we don’t take people from other ethnicities to marry our people,” she said. When Zubeidat and her family planned to move to the United States, Shakhruzat said she had concerns about the distance. Shakhruzat said that Zubeidat’s family was very “fun-loving” and that her children were well-behaved. Nabisat Suleimanova, Shakhruzat’s third daughter, took the stand after her mother. She spoke about briefly living with the Tsarnaevs in Kyrgyzstan and Chechnya, where she helped take care of the children, Tamerlan and his sister Bella. The defense showed Nabisat a picture of a young Dzhokhar doing his homework. She started to cry while telling the courtroom about one of her memories of him. 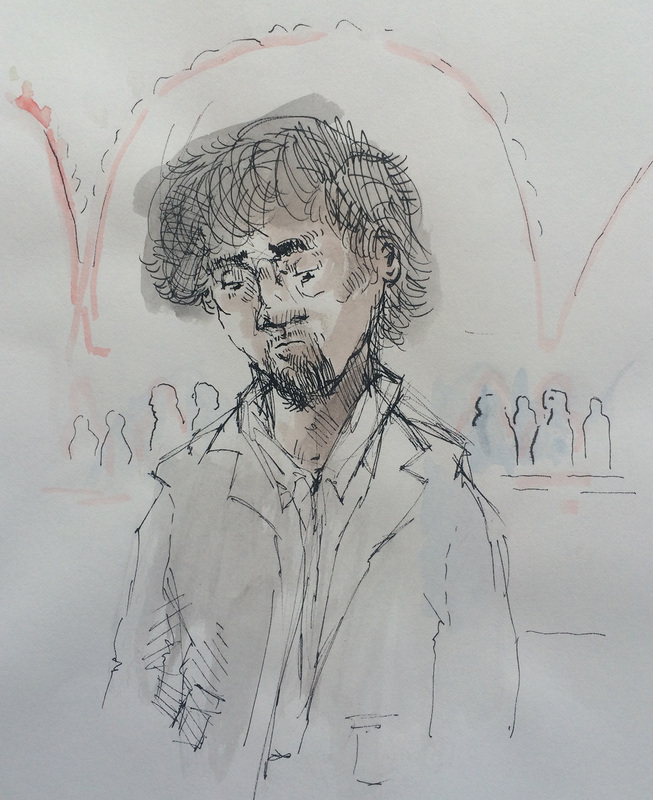 The defense then recalled witnesses from Wednesday to provide some insight about Tsarnaev’s life before the bombings. Alexa Guevara, a college friend of Tsarnaev’s, identified his ethnicity as Chechen, calling him by his family nickname, Jahar. After the anecdote, the prosecution began cross-examination and asked about Tsarnaev’s monetary situation. The defense objected to questions about his not having enough money, or having extra from selling drugs. O’Toole abruptly called for a sidebar conference. Afterwards, the defense called Rosa Booth, a friend of Tsarnaev’s from high school. Booth, who is currently a third year student at the Massachusetts College of Art and Design, recalled her memories of interacting with Tsarnaev. Tsarnaev was not one to make over-arching decisions for a group, Booth said. Instead, he was the one to follow the crowd. Booth said she last saw Tsarnaev in August 2012. The defense showed two photographs of that meeting, which portray Booth, Tsarnaev and a group of friends sitting in lawn chairs. In cross-examination, the prosecution asked Booth if she knew Tsarnaev well.